Home / NPFL / KWARA UNITED RELEASES NAMES OF NEWLY SIGNED PLAYERS. 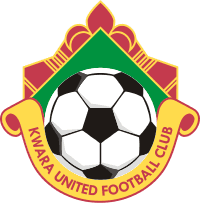 KWARA UNITED RELEASES NAMES OF NEWLY SIGNED PLAYERS. Newly promoted Ilorin side, Kwara United FC has released the names of newly signed players in preparation for the coming season. Now you can track them on social media to keep up with their progress.